Howard “Howie” Giles (Ph.D., D.Sc., University of Bristol) was previously Head of Psychology at the University of Bristol, and is now a Distinguished Research Professor of Communication at the University of California, Santa Barbara and Honorary Professor in the School of Psychology, at The University of Queensland, Brisbane, Australia. His research interests embrace many areas of intergroup communication. He has been the recipient of many Awards, including the International Communication Association’s Inaugural Career Productivity Award in 2000, is Past President of the International Communication Association and the International Association of Language and Social Psychology, past Editor of Human Communication Research, and Founding Editor of both the Journal of Language and Social Psychology and the Journal of Asian Pacific Communication. 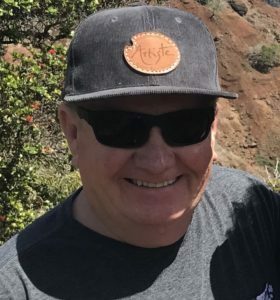 Giles now works with the Santa Barbara Police Department as their Director of Volunteer Services. Liz Jones is Director of Organisational Psychology and the Work and Organisational Resilience Centre at Griffith University. She is President-elect for IALSP, having been an Executive member since 2008. From 2010-2013 she was Co-chair then Chair of the Intergroup Communication interest group for the International Communication Association and a Board member of International Communication Association. 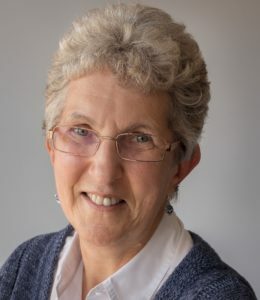 Her research interests are an intergroup approach to health and organisational communication, as well as how people effectively manage life and organisational transitions. She has an active role as an organisational consultant in these areas to a range of industries. Her publications span communication, psychology, medical, nursing and organisational behaviour journals. Can an Intergroup Communication Approach Solve Wicked Communication Problems? Intergroup communication has its roots in the 1970s in the work of Howie Giles’ speech accommodation theory and Henri Tajfel’s social identity theory. Early on, much of the research on intergroup communication was undertaken in social psychology, but more recently communication scholars have also adopted this approach. Early intergroup communication research was also primarily in intercultural communication, but the field quickly expanded to include research on gender, aging/intergenerational, organizational communication in a range of settings, and mass media communication. The field has continued to embrace new contexts and new methodologies, while continuing a range of theoretical developments. There has also been some move to consider how an intergroup approach may inform interventions to address communication problems. This talk will review the history of intergroup communication before moving to consider challenges in the future to ensure that an intergroup approach realises its potential to enhance communication across a range of settings. Helen Spencer-Oatey is Professor and Director of the Centre for Applied Linguistics at the University of Warwick, UK. Her background is in both psychology and linguistics and, having lived and worked abroad for many years, her primary research interests are in intercultural interaction and intercultural pragmatics. She has published extensively in these fields (e.g. Culturally Speaking, Continuum, 2000/2008; Intercultural Interaction, with Peter Franklin, Palgrave, 2009) and is currently working on a book on Intercultural Politeness (CUP, with Kádár). There is increasing acknowledgement by psychologists and interculturalists (e.g. Fischer, 2011; Smith, 2003) that the ways in which culture influences people’s behaviour is likely to be affected by characteristics of the situation. In line with this, the almost exclusive focus on the impact of fundamental values on behaviour has recently been questioned (e.g. Fischer & Schwartz, 2011; Leung & Morris, 2015). Within pragmatics (a branch of linguistics), the impact of context on communication is regarded as fundamental. There is extensive evidence that numerous aspects of language use and interpretation vary according to variables such as type of communicative event, participant relations, and participants’ role rights and obligations. However, within pragmatics there has been little or no unpacking of the ways in which culture may influence perceptions of such variables. In this talk, I aim to bring together research from the two fields, with particular reference to culture, context and interpersonal relations. I start by considering the concept of face and explore the ways in which the various conceptualisations of types of face within both pragmatics and communication studies can be mapped onto Schwartz’s (e.g. Schwartz et al., 2012) continuum of values. I then turn to the notion of context, and examine ways in which people’s perceptions of the various features of the context (e.g. type of communicative event; participants’ role rights and obligations) can be affected by cultural factors. My overall goal is to demonstrate the synergistic insights that can be gained by bringing together concepts and research findings from the fields of pragmatics and social psychology. 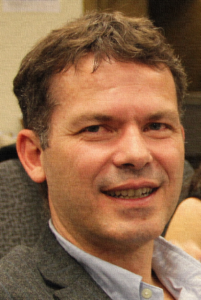 Jean-Marc Dewaele is Professor of Applied Linguistics and Multilingualism at Birkbeck, University of London. He does research on individual differences in psycholinguistic, sociolinguistic, pragmatic, psychological and emotional aspects of Second Language Acquisition and Multilingualism. He has published over 200 papers and chapters, published 2 books, co-edited 6 books and 6 special issues. 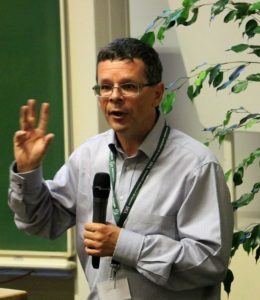 He is President of the International Association of Multilingualism, Convenor of the AILA Research Network Multilingualism, and former president of the European Second Language Association. He is General Editor of the International Journal of Bilingual Education and Bilingualism. He won the Equality and Diversity Research Award with Beverley Costa from the British Association for Counselling and Psychotherapy (2013) and the Robert C. Gardner Award for Outstanding Research in Bilingualism (2016) from the International Association of Language and Social Psychology. Learning languages and absorbing new cultures changes people in varied and unexpected ways. Research suggests that the effect of multilingualism and multiculturalism extend beyond the purely cognitive level. Indeed, the acquisition of a new language “alters the second language user’s mind in ways that go beyond the actual knowledge of language itself” (Cook 2002: 7). This process of conceptual change or (emotional) acculturation is neither inherently “good” nor “bad” but it may cause moments of frustration because of unexpected pragmatic and cultural challenges (Dewaele & Salomidou, 2017) and cause anxiety about not yet, or no longer fitting in (Sevinç & Dewaele, 2017). Sustained exposure to new languages and cultures do seem to affect individuals’ personality and their ability to communicate emotions in different languages (Dewaele, 2016). Ellen Bialystok is a Distinguished Research Professor of Psychology and Walter Gordon Research Chair of Lifespan Cognitive Development at York University, and Associate Scientist at the Rotman Research Institute of the Baycrest Centre for Geriatric Care. Her research uses behavioral and neuroimaging methods to examine the effect of bilingualism on cognitive processes across the lifespan. Her discoveries include differences in essential cognitive abilities as children develop and postponement of systems of dementia in older bilingual adults. 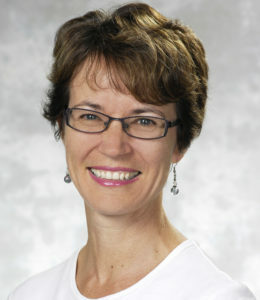 Among her awards are the Canadian Society for Brain Behaviour and Cognitive Science Hebb Award (2011), Killam Prize for the Social Sciences (2010), York University President’s Research Award of Merit (2009), Donald T. Stuss Award for Research Excellence at the Baycrest Geriatric Centre (2005), Dean’s Award for Outstanding Research (2002), Killam Research Fellowship (2001), and the Walter Gordon Research Fellowship (1999). 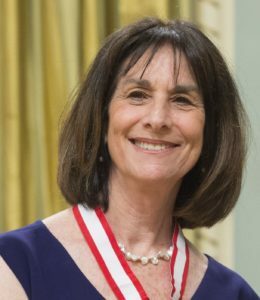 In 2016, she was named an Officer of the Order of Canada and in 2017 she was granted an honorary doctorate from the University of Oslo for her contributions to research. Antonis Gardikiotis is Associate Professor of Social Psychology and Mass Media, at the Department of Journalism and Mass Media Studies, Aristotle University of Thessaloniki, Greece. He is the director of the Social Media Lab of his department and has been a NIDA INVEST Research Fellow (2013-14) at Claremont Graduate University, USA. He has studied Psychology in Greece (University of Crete) and completed his graduate studies in United Kingdom: Mass Communication (University of London, LSE) and Social Science Research Methods (Cardiff University, UK). He received his PhD in Social Psychology and Mass Media from Cardiff University. He has published in a number of scientific journals such as Media Psychology, Communications: The European Journal of Communication Research, Psychology of Music, European Journal of Social Psychology, Personality and Social Psychology Bulletin, Social and Personality Psychology Compass. His research interests concern topics such as intergroup communication, social media use, health communication, social influence and persuasion, etc. The talk discusses how media discourse provides interpretative frames that guide people’s thoughts, preferences and behavioral intentions within the context of deep national crises such as the economic or the refugee crisis. By presenting a number of experimental studies, it examines how media frames affect people’s intentions to act, from helping the refugees, to supporting critical national policies, and to assuming collective behavior. The frames examined, mostly derived from content analyses of actual mass media discourse, provide ways of understanding and interpreting the economic and the refugee crises. The focus is also on the psychological processes that underlie these framing effects and concern people’s understanding of their social context, collective efficacy, emotions, social identity, and cultural ideology. The talk concludes by discussing the importance of focusing on the interaction between communication and psychological levels of analyses to social psychological theorising.